Take time out to relax your mind and body. 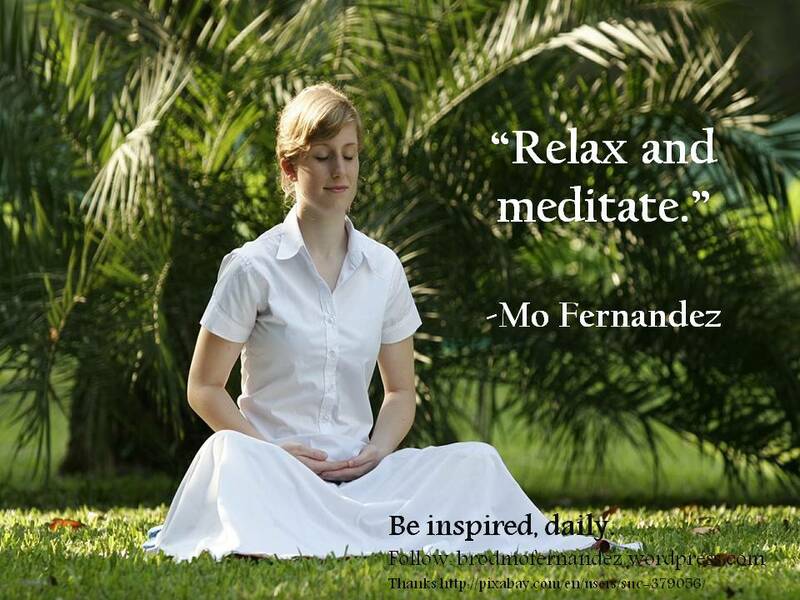 Here is a basic meditation you can try. 1. Find a quiet spot where you won’t be disturbed. 2. Close your eyes and think about your breathing. 3. Take slow deep breaths in and out and picture yourself in a beautiful forest beside a sparkling stream full of splashing gold fish. 4. Look around your forest and see how many baby animals you can notice. What kind of animals are they? How many can you see? 5. Imagine that one animal comes up to you for cuddle and play. How do you feel? Stay for a while and play with your new friend. 6. When you are ready, imagine leaving the forest and come back to the room that you are in.